When couples fall in love, marry, and purchase a home together, divorce is the farthest thing from their minds. But research shows that many people will eventually have to deal with divorce. In fact, current projections suggest that as many as 40-50 percent of the United States population is likely to experience divorce at some point in their lifetime. Divorcing couples who own a home together will need to determine what to do with the home they owned together while married, and for many, selling will be the most practical solution. *Please note: The division of marital property has legal ramifications and each case is unique. 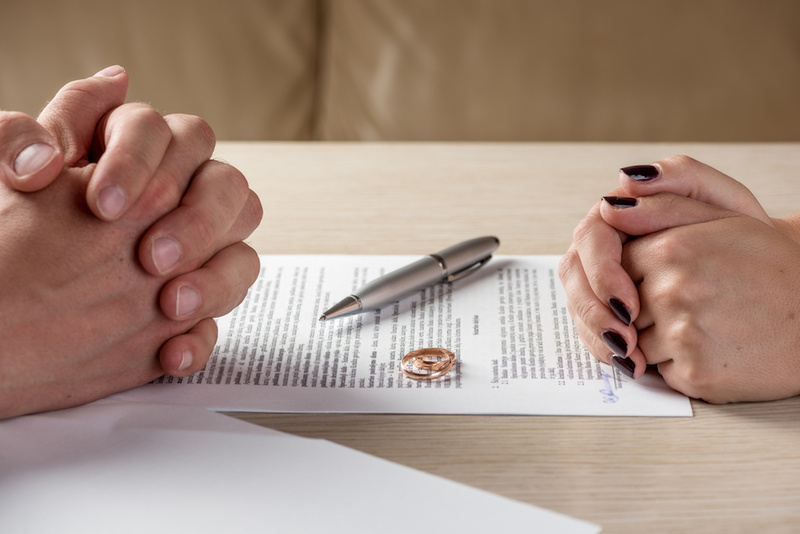 This is why it is important for divorcing spouses to seek the counsel of a competent attorney to assist them with any questions regarding the distribution or sale of any marital property. If either spouse wants to keep the family home and can afford to reimburse the other spouse for their share or can work out some other arrangement that is satisfactory to both parties, ownership of the home can usually be transferred via quit claim deed. This type of deed transfer is often used in divorce situations to transfer ownership rights to a home or other real estate. Once the quit claim deed has been signed and recorded, the person who has relinquished their rights to the home will no longer be have access or ownership rights to the home. When considering this or any type of property transfer due to divorce, each party should consult with their attorney to ensure they fully understand how a quit claim deed will work and any responsibilities they may have because of it. What costs must be paid before the proceeds of the home sale can be divided? Paying any closings costs associated with the real estate transaction, such as broker's fees, title preparation, deed transfer, survey, etc. Proceeds left over after all sale-related costs are paid is usually divided between the divorcing parties, according to the terms of the divorce agreement. It is important to remember that the proceeds division may not be an equal amount. While this can happen for a number of reasons, it is most common when one party has been meeting the mortgage payments each month during the separation and while the home was listed for sale. How is the listing price determined? Selling a home due to divorce, like any other home sale, is likely to have the best results when the home is priced correctly, according to the local real estate market. In most cases, a professional comparative market analysis compiled by a competent real estate professional or a formal market value appraisal completed by a certified property appraiser, or sometimes both, will be used to determine the listing price for the home. If the divorce is a contentious one, the court may oversee the pricing to ensure that all parties are acting in good faith. Who pays for repairs or renovations needed before the home is listed? If possible, splitting necessary repair and renovation costs may be the best solution. If, however, one or both parties are not able or willing to afford these costs, it may be possible to have repair and renovation bills paid out of the proceeds after the home is sold and other costs have been resolved. How can a real estate agent help? Selling a home due to divorce is a stressful time in life. If someone is currently dealing with this situation or expects to be doing so soon, discussing the situation with a trusted real estate professional can help. A listing agent can help determine an accurate market value for the home, help determine what preparations the home will need to help it sell, and devise a marketing plan that will help get the best possible offer. Real estate professionals routinely work with couples who have decided to divorce and understand how stressful the situation can be. In many cases, real estate agents can even help to reduce this stress by acting as a point of contact between the spouses regarding the home sale.